One of Brightline's Florida rail carts that runs from Orlando to Miami. Courtesy of Brightline. A high-speed train from SoCal to Las Vegas has been the high-hope, will-it-really-happen legend that has long plagued the dreams of residents, with multiple projects going in and out of existence and feeling more mythical than tangible. 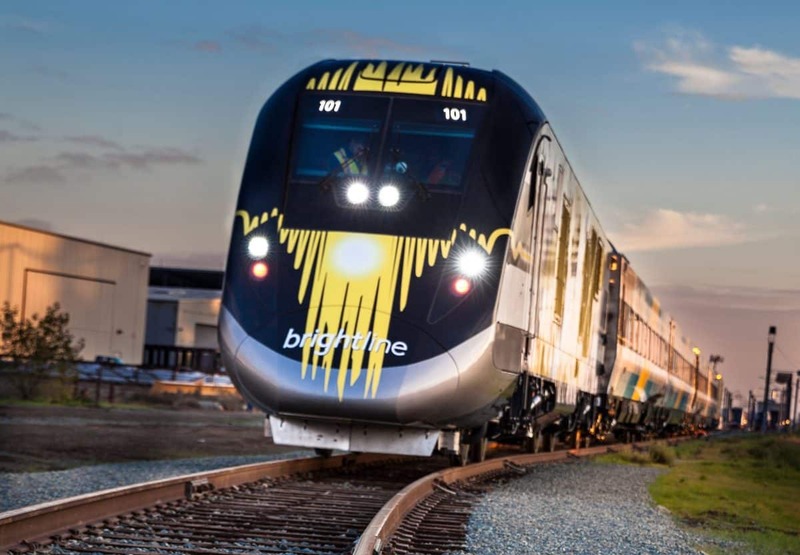 One step toward tangibility has, at least for now, occurred following the announcement that Brightline—the private intercity train line that will be opening its Orlando-to-Miami route in Florida in 2022—has acquired the rights to the XpressWest, a line that would take travelers from Los Angeles to Palmdale to Victorville to Las Vegas, with that last stretch from Victorville to Sin City taking 84 minutes. Garnering the rights from the Feds for the project in 2005, developer and Vegas giant Marnell Corrao Associates—the company behind casino giants like the Bellagio and Wynn on The Strip—had planned on breaking ground that very year. Clearly, things didn’t pan out: The $6.9-billion project, of which Marnell would put up $1.4 billion while the rest of funding would be borrowed under the Railroad Rehabilitation and Improvement Financing program, had never accumulated enough backing to get off the ground. 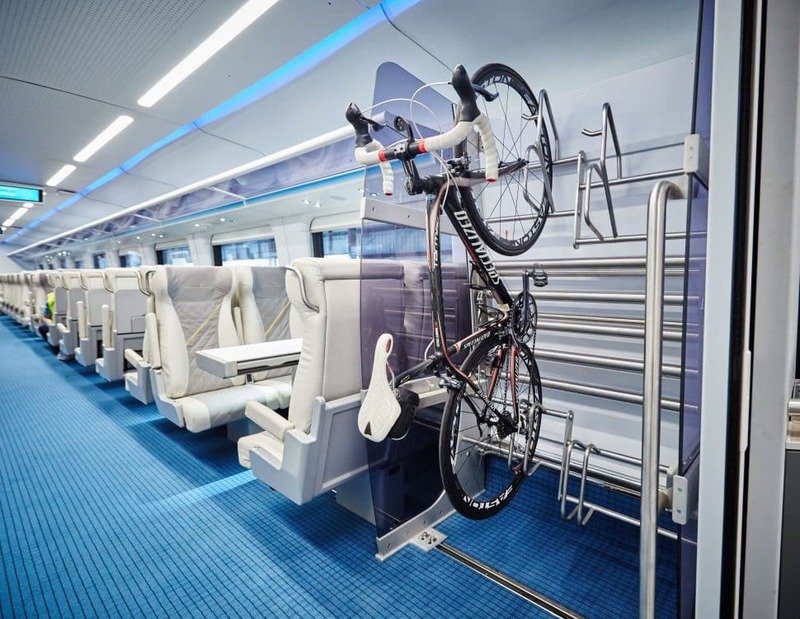 The interior of Brightline’s Florida rail carts that runs from Orlando to Miami. Courtesy of Brightline. Incentives for Brightline, which declined to provide specifics over the finances of the deal, include the entitled project: They can break ground whenever they want—and they plan to do so by next year and have initial operations from Victorville to Las Vegas going by 2022. Connections to and from Los Angeles and Palmdale directly will begin thereafter. To cut down on costs, the rail will not be legally defined as high-speed; rather, it will travel at 78 mph, with no crossings or stops between Victorville and Las Vegas. According to Brightline, 50 million motorists travel from SoCal to Las Vegas each year.